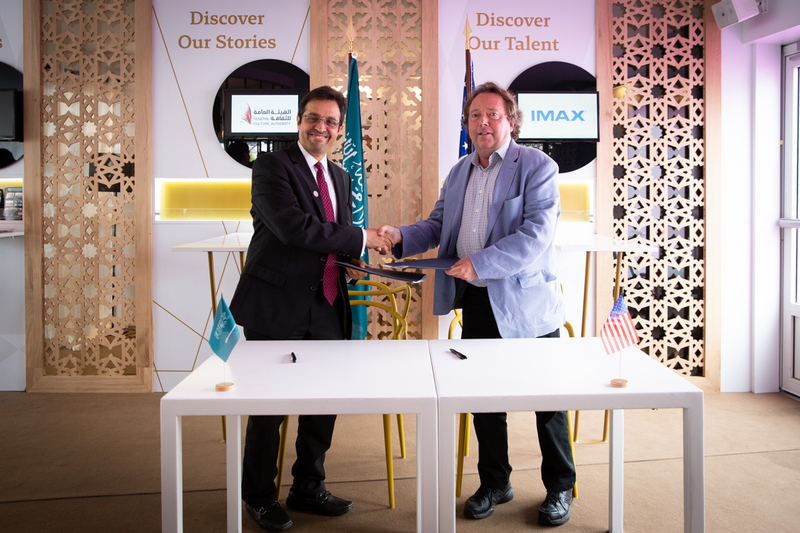 Cannes (May 12, 2018) – IMAX Corporation and Saudi Arabia’s General Culture Authority (GCA) today agreed in principle to jointly seek opportunities to identify and develop local IMAX format films. The non-binding agreement is part of GCA’s strategic efforts to develop a dynamic and sustainable film industry in Saudi Arabia. On April 30, IMAX opened its first commercial multiplex theatre together with VOX Cinemas in Riyadh, with its debut timed to the release of Marvel’sAvengers: Infinity War. The Company expects to build approximately 15 to 20 IMAX theatres in Saudi Arabia during the coming years. IMAX has built a substantial footprint in the Middle East with 20 theatres in operation in many of the region’s top-performing screens and another 12 in backlog. The General Culture Authority’s role is to preserve, protect, enrich and promote the Kingdom’s cultural sector, nurturing cultural talent, supporting cultural diversity and Saudi identity through the arts. It seeks to enhance the cultural standing of the Kingdom by extending bridges and opening channels of communication regionally and globally, contributing to the development of a vibrant society, in line with Saudi Arabia’s Vision 2030. Please visit us atwww.gca.gov.sa or @GCA_Saudi.